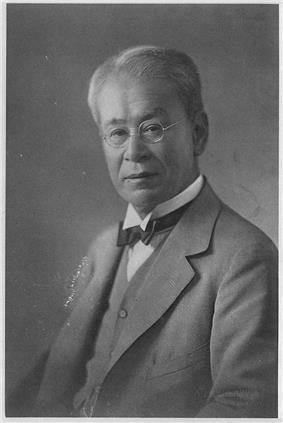 Tomitaro Makino (牧野 富太郎, Makino Tomitarō, April 24, 1862 – January 18, 1957) was a pioneer Japanese botanist noted for his taxonomic work. He has been called "Father of Japanese Botany". He was one of the first Japanese botanists to work extensively on classifying Japanese plants using the system developed by Linnaeus. His research resulted in documenting 50,000 specimens, many of which are represented in his Makino's Illustrated Flora of Japan. Despite having dropped out of grammar school, he would eventually attain a Doctor of Science degree, and his birthday is remembered as Botany Day in Japan. Tomitaro Makino was born in Sakawa, Kōchi to a prestigious sake brewer. His parents died during his early childhood, and he was raised mainly by his grandmother. Though he dropped out of school after two years, he cultivated a strong interest in English, geography, and especially in botany. In 1880, he became a teacher at the primary school in his hometown, where he published his first academic botanical paper. In 1884, he moved to Tokyo to pursue his botanical interests at the University of Tokyo where he worked with Ryokichi Yatabe. He married in 1890 and would later have 13 children. In 1887, Makino started to publish an academic journal of botany. In 1936, he published Makino Book of Botany, a six volume text on botany, in which he describes 6000 species, 1000 of which he discovered. He is best known for his Makino's Illustrated Flora of Japan, published 1940, which is still used as an encyclopedic text today. In 1948, he was invited to the Imperial Palace to lecture on botany for Emperor Hirohito. In total, Makino named over 2500 plants, including 1000 new species and 1500 new varieties. In addition, he discovered about 600 new species. After his death in 1957, his collection of approximately 400,000 specimens was donated to Tokyo Metropolitan University. 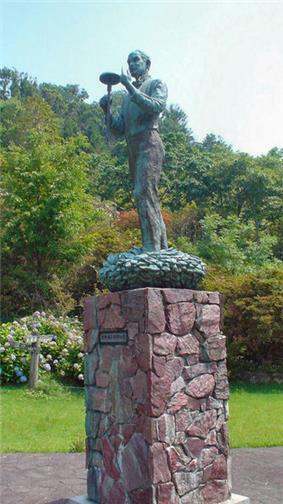 The Makino Herbarium in Tokyo and the Makino Botanical Garden on Mount Godai in his native Kōchi were named in his honor. He was also named an Honorary Citizen of Tokyo. In a statistical overview derived from writings by and about Makino, OCLC/WorldCat includes roughly 270+ works in 430+ publications in 4 languages and 1,060+ library holdings. ^ Nussbaum, Louis-Frédéric. (2005). 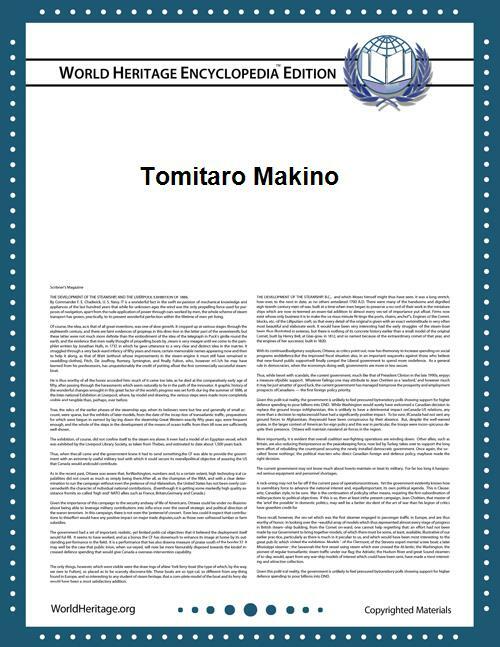 "Makino Tomitarō" in , p. 604Japan Encyclopedia, p. 604, at Google Books. ^ "'"Author Query for 'Makino.